Free Skin Consultation Essex - Facial Aesthetics Top Rate Dermal Clinic. 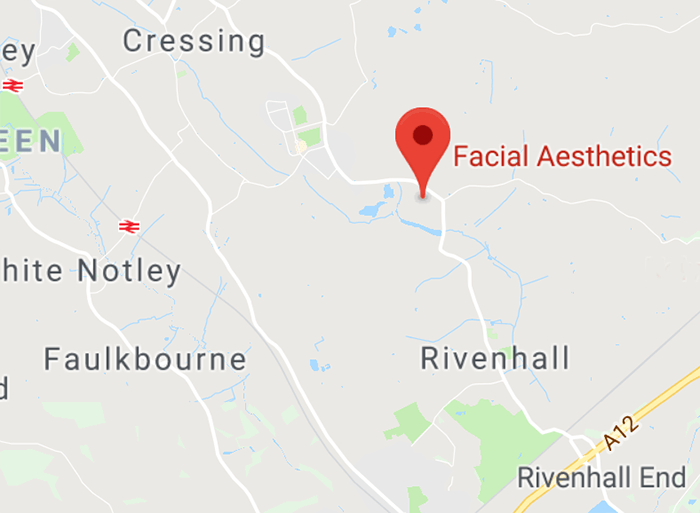 “Your patient journey with Facial Aesthetics commences with an in-depth consultation where we will discuss your skin concerns and provide you with all the information you need. The relationships I build means clients entrust their skin to me over the long term, whether you want to smooth away lines and wrinkles, remove unsightly thread veins, or simply need effective advice about skin care, I will create a bespoke treatment plan just for you. Choosing a treatment is not a simple case of picking something from a shelf. Your skin is unique, so the way I think about, and treat, your skin concerns must meet your individual needs. I work with you to ensure it looks and feels amazing, I will conduct a thorough consultation including a computerised skin analysis to get to know you and to understand your skin. I have a holistic approach, before I offer any treatment I will take a full medical history and I’ll ask about your diet, lifestyle and how you look after your skin to understand the daily challenges to your skin. I’ll also carry out a computerised skin analysis to learn about your skin from the inside out. Using this information, I’ll work together with you to create your personalised treatment plan. You will be given brochure information together with your proposed treatment plan and time to reflect before treatment commences.